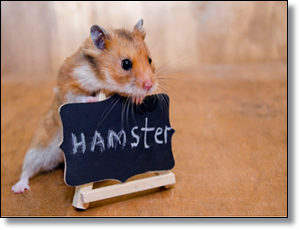 Hamsters are adorable, and if you had one as a kid, you probably remember them being easy pets to care for. That is, of course, because your parents likely took care of your hamster. As you can imagine, it isn't as easy to care for a hamster as it looked as a kid, but once you get into a groove, you may find that it isn't all that hard either. Consider the following your handy hamster care handbook. If you are thinking about getting a hamster for your child, it would be best if your child is in elementary school or older. “Unfortunately, this isn't the perfect small pet for young children. Hamsters require a lot of care, can get nippy [and] are not always great in tiny hands,” said Laurie Hess, author, exotic animal veterinarian and owner of the Veterinary Center for Birds & Exotics in Bedford Hills, New York.